On the whole, my skin is generally in great condition, but occasionally my face can get rather red and irritated. It happens when I'm stressed, if I eat something that I know my skin tends to react to, if I test a new beauty product that doesn't agree with me, or sometimes even when the water filter in the shower needs changing! I know skincare is only one part of improving any skin issues, but I'm always on the lookout for products that are specifically formulated for sensitive/irritated skin and might have a calming effect to help me along when I need it! I've heard so much high praise for this brand and was excited to hear the products are now stocked in the UK at CosNatural. The range of products has been designed to soothe and repair sensitive skin and is ideal for a range of skin issues from dermatitis and eczema to redness and burns. This anti-inflammatory spray particularly appeals to me as it would be super easy to just spray on the skin whenever it's feeling irritated! Surprisingly I don't have an actual cream moisturiser in my stash at the moment as I've been using oils and serums! I think this day cream would be perfect for calming irritation and redness, especially as one of the key ingredients is chamomile which I always find to be really effective on my skin. Again, another type of product that I don't already have in my stash! I'm a big fan of oil and balm cleansers, but I love the sound of this gentle cream cleanser. It has a soothing, anti-inflammatory formulation which (of course!) is targeted for sensitive and irritated skin. This has been on my to-try list for so long I don't even know why I still haven't picked it up yet! The bottle may not look the most glamorous, but this spray is said to be really effective for relieving irritation and nourishing the skin. One of the key ingredients is sea buckthorn which is something I don't think I've tried before, so I'm intrigued to give this product a try. Have you tried any of these products before? What calming skincare products do you recommend? Great picks! I'd love to try more of CV Skinlabs and Pai Skincare. 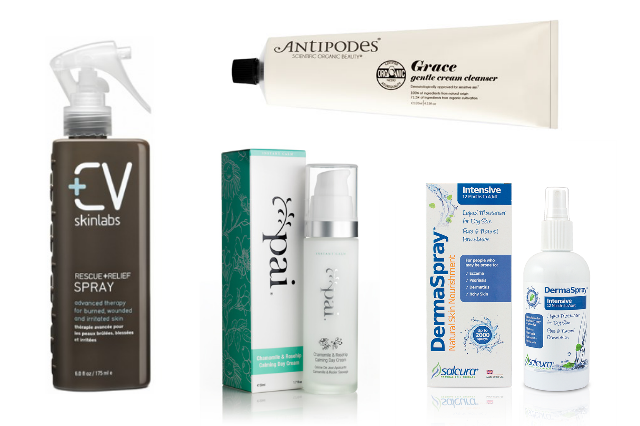 we've seen a few products from antipodes around, but haven't tried anything from them yet. what else would you recommend from the brand?